I thought it might be a good idea to talk more about Generative Conversations, and in particular, the Anatol Rapaport Intervention in Gottman Theory. This is another critically important contribution to couples therapy from Russia. But we ought to start with Anatol Rapaport. 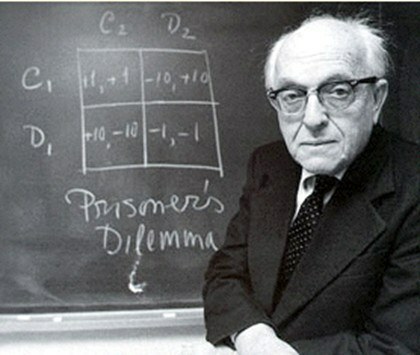 Anatol Rapaport was a Russian mathematical genius who contributed to general systems theory, which is the foundation of marriage and family therapy. But he was also an earlier thinker in social networks before six degrees of separation or Kevin Bacon was ever on the radar. His interest in Peace Studies led to a Generative Conversation, and a Marital Intervention developed by John and Julie Gottman. it is called the Anatol Rapaport Intervention. It is a bedrock intervention in the Gottman Method of Science-based Couples Therapy. Rapoport also suggested that each person complies with the following instructions. If you find yourself admiring a positive trait in yourself, try to see some evidence of this trait in your spouse as well. If you find yourself attributing a negative trait to your partner, try to see some of this trait in your self as well. Let’s fire off some Mirror Neurons! Each person takes a turn as speaker and listener. We use the Conflict Blueprint, exercise to create bullet points for the Speaker and Listener. Give each person a pen and a clipboard so they can take notes when they are the Listener. All this slows things down, which is good for the Vagus Nerve. Ask the person who starts as the Speaker to pause, reflect and prepare. A deep breath often helps. The genius of the Rapoport Intervention is that it requires each spouse to systematically interview their partner about their differing point of view and to ask generative questions, eventually accurately summarizing and validating their partner’s perspective. This process is not possible in the presence of the Four Horsemen. That is the genius of the intervention, it’s defined structure blocks the Horsemen from arriving. The Anatol Rapaport Intervention has two roles; the Speaker and the Listener. The role of the Speaker is to speak of their hopes and needs in a positive manner. The Speaker is encouraged to speak in paragraphs without interruption while the Listener takes careful notes for 20 minutes. Behind every complaint is a longing or need. Within every need, there is a recipe for its satisfaction. That satisfaction requires a mental shift and a re-languaging of the complaint into a positive need. The primary role of the Listener is to understand the Speaker. it is not to defend, attack, solve or respond reactively. The Listener must take careful notes and self-regulate for 20 minutes. Summarizing, and Squeezing the Sponge. The Speakers job is to refrain from criticizing by framing complaints in a positive manner. The Speaker will refrain from making “blaming” or YOU statements. The Speaker uses only “I” statements about a conflictual situation. The Speaker states a Positive Need. They ask for what they want and can describe it in detail. The Speaker allows the Listener to console and befriend. The role of the Listener is to listen carefully, suspend judgment, take notes, and convey to the Speaker a satisfactory summary understanding of their point of view. As Listener, in a Generative Conversation, you must be willing to meet the Speaker’s needs to some degree. Feel the emotion behind the words. Asks clarifying questions about needs and feelings to improve understanding ( no set-up questions). Hear and repeat the needs and feelings of the Speaker. Summarize the needs and feelings of the Speaker to the Speaker’s satisfaction. Each side has twenty minutes as Speaker and another twenty as Listener. Clipboards and pens for notetaking are essential. Each side “Squeezes the Sponge.” Is there anything you want to add or emphasize to help me understand your perspective? What do you most need me to understand for you to feel understood? 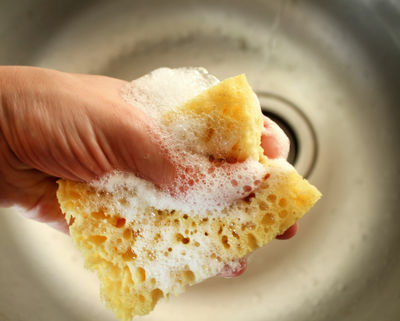 Squeezing the Sponge is making sure that your spouse has every opportunity to be heard, and to confirm whether or not they feel understood. This is the essential goal of the Anatol Rapoport Intervention; complete understanding of one another. The Anatol Rapoport Intervention is an essential intervention that can act as a bridge to more dyadic exchanges. In other words, if you get good at having Generative Conversations, Anatol Rapoport Interventions, or whatever you want to call them, you ‘ll be regulating yourself and co-regulating each other. Keep doing more of that, and you won’t need a therapist for too much longer. But that’s a cultural value with Gottman Therapy; dyadic (you can do this at home), client-driven agency. Once the conditions of the Rapoport Interventions are met, persuasion and accepting influence becomes possible for the first time. Previous Post The Zeigarnik Effect Next Post What Makes You Attractive?